← Have You Left Jesus ? Satan loves to remind you of your past sins and throw them up to you. I woke up yesterday recalling how many bad things that I have done in my life. I know now how much mercy that the Lord has extended toward me; how much God has forgiven me for. It would take a lot of time to recall all of our sins. Where would we be without God’s mercy? There would be no hope at all. If we have never asked for God’s forgiveness, then we would not be able to go to Heaven. See Heaven is pure and without sin, and nothing of unrighteousness will enter through the gates. Imagine a life without hope. Nothing to hope in. Life would be most miserable if we didn’t have the gracy and mercy of God. If we got what we truly deserved, we would deserve death (hell). None of us really deserve God’s grace or mercy. Not really. Each and every sin that we did in our lives placed Jesus on the cross. Our precious Savior (Jesus) was willing to go to the cross for us, not for anything that he done, but for us. But somehow, Jesus was willing to die in our place. He was willing to sacrifice his own body on the cross. He was whipped, beaten, spit upon, mocked and then crucified on the cross. If Satan had it his way, none of us would receive the forgiveness of the the Lord. Satan accuses us daily of our sins to the Heavenly Father. Revelation 12:10 says: And I heard a loud voice saying in heaven, Now is come salvation, and strength, and the kingdom of our God, and the power of his Christ: for the accuser of our brethren is cast down, which accused them before our God day and night. Just remember that God will forgive you of your sins, if you would only ask. There is not a sin, that God wouldn’t forgive, other than the sin of rejecting Jesus. John 3:16 says:For God so loved the world, that he gave his only begotten Son, that whosoever believeth in him should not perish, but have everlasting life. Paul was an apostle of Jesus Christ and he said that he was the chiefest of sinners. So if God forgave him, then God will forgive you too. 1 Timothy 1:15 says: This is a faithful saying, and worthy of all acceptation, that Christ Jesus came into the world to save sinners; of whom I am chief. This entry was posted in forgiveness, Uncategorized and tagged bible, Christianity, forgiveness, hope in Jesus, Jesus, Jesus died on a cross, love, love of God, mercy, religion, repent. Bookmark the permalink. Jesus died on the cross for our sins, not his own. He committed no sins; lived a perfect sinless life. He chose to die a terrible death on the cross for us, because he loved us. What greater love than to sacrifice your own life for the sins of the world. The Bible says: No greater love than man can have than this. To lay down his life for his friends. 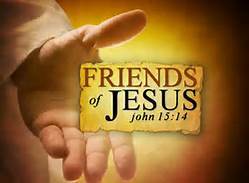 Yes Jesus called us friends if we do the things he ask of us. Thank you Jesus for your sacrifice on the cross.